Coburg Senior High School changed its name to Coburg High School in 2015 to reflect the inclusion of junior year levels in the school. The first stage of a major refurbishment program was completed in time for the arrival of Year 7 students in 2015. In 2016, we welcomed over 170 new Year 7 students and we will welcome another 200 Year 7 students in 2017. We are not only rapidy growing in enrolments but also continuously improving with a dynamic team of staff and an engaged and involved school of students. In 2016 our VCE outcomes improved again—the median study score for VCE students at Coburg High School increased from 28 to 29. Only about 1 in 5 schools increased their median study score at all in 2016. We are very proud of our graduating class of 2016. In 2017, Coburg High School has an enrolment of 550 students. The school is growing rapidly and our total enrolment is expected to exceed 1000 students by 2020. Coburg High School facilities are characterised by open plan Learning Commons which allow students and teachers to work in innovative, differentiated, and engaging ways. Team teaching is a feature of the use of these spaces, and teachers plan, facilitate and assess learning together. The effective use of Apple-based technologies in the learning program supports students and staff to demonstrate understanding and articulate learning in a range of modes. Every student has access to an Apple Macbook device with most procured through a BYOD program. The school employs local technicians as well as department personnel to support high levels of information and communication technology integrated into the teaching and learning program. There are few textbooks and the curriculum is mostly written by staff and delivered via wikis. Students use wikis as exercise-books and notebooks; downloading, producing and submitting their work online. The school also features many other flexible learning spaces, including a theatrette, a dynamic performance space which includes retractable seating, many purpose built science labs, extensive well-kept grounds, a large single court gymnasium and connected physical education teaching rooms, a commercial café and many small conference rooms located throughout the school. 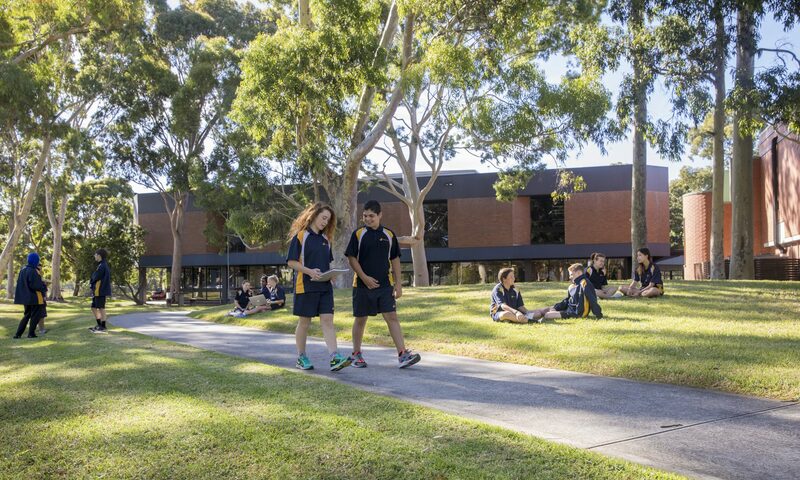 We make use of our local community facilities to support learning, including the local library, aquatic centre, athletics complex as well as the nearby city of Melbourne. The school has experienced high levels of success in the visual and performing arts and has produced strong debating teams in recent years. Students are encouraged to become responsible learners and student leadership and voice is valued. Our staff belong to professional learning teams which cross faculty boundaries and focus on the school’s teaching framework. Our wellbeing team are qualified counsellors and oversee the development of student support and wellbeing programs, integrated approaches, and individual case management. This includes the use of Restorative Practice and Positive Psychology to support students to remain positive and to manage the demands and challenges of life as they grow through adolescence into young adults. We have a Pathways and Careers Development Coordinator who oversees a comprehensive transition program that caters for a range of diverse pathways, tertiary studies and careers. Extensive testing and sharing of student data supports individualised learning and literacy and numeracy programs. This work enables teachers to clarify educational goals and milestones for each of their students. The school develops strong relationships with families at home through Student Led Conferences, a Parents and Friends Association (PFA), an active and involved School Council, and the use of Compass learning management software and wikis to communicate with families about attendance, learning, progress and events. At Coburg High School, there is a robust range of clubs and co-curricular activities that include a wide range of sport, and a diverse performing arts program that extend to students beyond the Performing Arts classes, such as involvement in the State School Spectacular film crew. Students are also offered opportunities to join adventure activities and student exchange programs with our sister schools in the Netherlands and China, and a Thailand-based Community Service Program. A consistent comment from visitors from across Australia and around the world who visit the school is the obvious high level of innovation and learning at Coburg High School. Over 15 different countries have sent educators and officials to our school to learn more about learning approaches that better suit the connected generation.